Rhys James is to appear at The Bottle Shop Bar and Kitchen’s comedy night in Newcastle next week. James, a “sickeningly talented young stand up” (Time Out), will preview his brand new show at the Waterloo Square venue on Wednesday 1 June 2016, shortly before his debut appearance on BBC Two’s Mock the Week airs. Original headliner Ed Gamble has been forced to postpone his appearance due to overrunning filming commitments; The Bottle Shop hope to reschedule Gamble’s gig for later in the year. James began performing in 2009 in student competitions, and made his Edinburgh debut in The Pleasance’s Comedy Reserve in 2010, and again in 2012 in AAA-Stand Up. 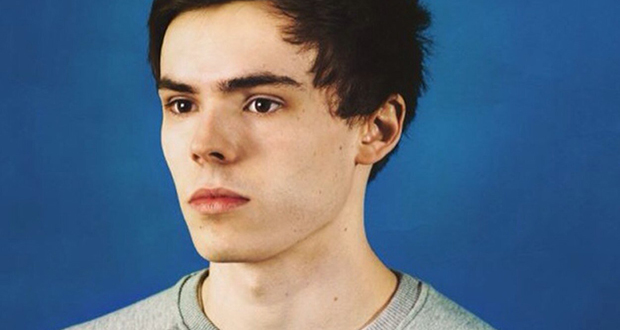 His debut Edinburgh show Rhys James Prepares was named one of 2013’s top ten free shows by Time Out. A fast-rising star, James’ unique mixture of smart, mischievous gags and performance poetry have bagged him appearances on the likes of BBC Three’s Sweat the Small Stuff, Seann Walsh’s Late Night Comedy Spectacular, and E4’s Virtually Famous. Often touted as the funniest man on Twitter, James has also written material for Russell Howard’s Good News, Mock the Week and 8 Out of 10 Cats. Recently James was dubbed “a cut above his humdrum peers” by The Independent, and called “charismatic, clever and self-aware” and “destined for great things ” by The Guardian. Support on the night comes from Durham stand-up David Callaghan. Callaghan took his debut solo show No Momentum to the Edinburgh Fringe last year, having previously shared a bill with fellow stand-up Amy Gledhill in 2014. Callaghan also took part in the BBC New Comedy Awards in 2012 and 2013, and recently supported Edinburgh Comedy Award winner Sofie Hagen, who appeared at The Bottle Shop in May. His sharp, expressive and charming comedy has seen him compared to the likes of Daniel Kitson, with Chortle dubbing him “undeniably charismatic and witty”. The venue’s comedy night, which takes place on the first Wednesday of every month, launched in February, and since then has welcomed the likes of Jo Caulfield, Patrick Monahan, and BBC New Comedy Award winner Steve Bujega. Bottle Shop general manager Mike Morley said: “Of course it’s a shame that Ed has had to unexpectedly reschedule, but we couldn’t have asked for a better comic to step in than Rhys James. The show starts at 7.30pm, with doors open from 6pm. Tickets are £5 (or £15 including admission and a ribs, wings, fries and ‘slaw platter worth £15) and are available now from seetickets.com.